When we draw focus on the First Ladies of the United States, a unique and quietly powerful history behind them begins to unfold. Most, if not all, lent contribution to the building and reshaping of the American infrastructure, aiding as national taste-makers and hostesses alongside their Commander In Chief husbands, largely at times playing the silent partner. Some like Eleanor Roosevelt and Jackie Kennedy-Onassis, were able to curtail this, becoming just as notable in face, name and voice, with their contributions and presence surpassing longer than their spouse's term. Hillary Clinton, in particular, with her current and previous bids to run for president changed the game and broke a pane in the glass ceiling as she became the first and only First Lady elected to public office as well as the first to seek the presidency. Still other First Ladies weren't as fortunate to rise to forefront, or have their say when it was all said and done. The 'first ladies' of recording label dynasties also experience a similar disposition as they attempt to stand and deliver all while upholding their intellect and femininity in the presence of powerful men. Sometimes they often become the dreaded 'side chick' --- a fuel for sexual attraction and possession --- or simply a 'pretty face' that shouldn't really speak much less be involved in matters of music and the composing of it. Other times they were just as down as the dudes, their gruff, rowdy exterior a sometimes cloak for the interior that was too 'ladylike' and 'emotional' to be taken seriously and shared with the public. Faith Evans was somewhat in the latter bracket as she was the 'ride and die' dame with a big heart when she became the lone concrete rose in the Bad Boy family unit upon signing with them in 1994, becoming the first woman to do so. While not as celebrated for her gritty 'streetwise songstress' bravada as Mary J. Blige, her music contrasted and merged ever so slightly with the "Real Love" singer, but it was little more subtle and nuanced, threaded with bouts of vulnerability and unyielding bluntness that ushered her into a welcoming boy's club, all while still acutely in tune with what women absorb and hang on to when no one is looking or listening. Evans never played the victim, rising above her hardships by introducing a truth to love and relationships that was a little sadder to swallow than her contemporaries. She wasn't wailing out depressive drama-packed anger like Blige or was socially aware and blunt like Meshell Ndegocello, and forget about her being the gowned n' glamour sensual songbird that Toni Braxton and Mariah Carey provided --- Evans was the around the way girl that Cool James raved about through and through and she relished in it her own brand of street chic that poised her not as 'property of', but as a property of her own designed agency. In 1997, Evans mirrored former First Lady Kennedy-Onassis when she became a 'professional widow', and it was a title that had her in the constant shadow of her famous slain spouse, and led her talent and skill to be undermined in the aftermath of his death. When her collaboration with Sean "P. Diddy" Combs and 112 on the Grammy-winning, "I'll Be Missing You" was released, honoring her late husband, Notorious B.I.G., and somewhat quelling the East Coast vs. West Coast rap feud that partially aided in his murder, I remember a lot of my ill-informed friends going, "So Biggie's wife sings now?" Embarrassing, considering her classic 1995 debut, Faith, established her as a new voice of womanist reason in the burgeoning hip-hop and R&B movement. As males dominated the hip-hop and R&B landscape, only the toughest of dames needed to apply. Evans was this type of dame, as she was her own Eleanor, Hillary, and Michelle Obama, working tirelessly behind the scenes, yes, but she was just a match for her male compatriots being a triple-threat singer, songwriter, and culture shaker in her own right. She had paid her dues too, first sharping her pen and inking tunes for Blige, Color Me Badd, SWV, and Usher, and lending her raspy, yet light mezzo soprano tone on backups for Al B. Sure, Hi-Five, and then husband, Notorious B.I.G. When these gifts combined on her albums, a new breed of soul sista soap opera was birthed, crisscrossed with the slickest of '70s and '80s soul samples, and of the more heartbreaking and love lorn lullabies of R&B as heard in such chart-toppers as "You Used To Love Me", "As Soon As I Get Home", and "Never Gonna Let You Go". While racking up alluring and sizable hits from the mid-'90s onward, Evans ended up dipping out of the spotlight for seven years after the release of 2001's Faithfully, in the interim, dealing with legal and personal strife. When she reemerged in 2005 with The First Lady, armed with the bold assertive title of her days on Bad Boy, the platform of R&B had changed. The players were now much younger and even more 'ride and die' than she, but Evans paid little mind as she was the R&B upperclassman --- navigating the churn of changing tides was what she did best. The First Lady is a quieter comeback to form as contrast to the splashy roll-out Carey had for her emancipating Mimi the same year. It also didn't boast a spunky and funky tracklisting like Faithfully, but it still rumbled with a well-rounded balance of grooves that fluctuated from tempered soul to jazz, and back to old school spiked funk, all of it humble as well as sensual. Keeping true to its title, the lean set introduced Evans to some new firsts, as it was her first record away from the Bad Boy label, the first contemporary R&B record released at her new home on Capitol Records, and the first (and at current) the only album of hers to hit #1. 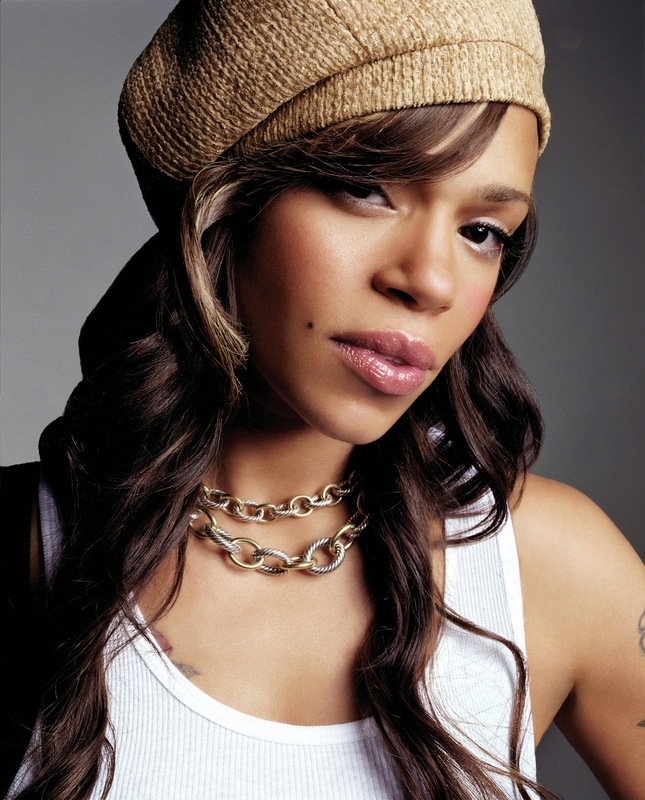 On the production front she reunites with Jermaine Dupri, Chucky Thompson and The Neptunes, but the new addition of a production team consisting of Carvin "Ransum" Haggins and Ivan "Orthodox" Barias ended up generating the bulk of the material, expanding her sound tapestry further. Still even with then-husband/manager Todd Russaw also in the producing and songwriting shotgun, Evans continued to lead the procession with her creativity in firm grasp. The air of The First Lady reflects this freedom to create and stake claim, and Evans sounds downright lively as she glides through the material. Though known mostly for her woe-be-gone heartbreakers, she's weak in the knees and scribbling out sugary confection love letters like the Philly Soul sweetness of "Until You Came" and the Bryan-Michael Cox co-write, "Tru Love", sounding less tortured and more like a woman in love with love. Not to be gentle for long, her gruff honesty comes out on "Again" where she sets the record straight about her 2004 arrest. Framing her voice around a Whatanauts sample, she keeps her head held high, conscious of her faults and her past struggles, but owning each and every storm cloud and battle scar, as she confidently voices: "If I had to do it all again/I wouldn't take away the rain, cuz I know it made me who I am/If I had to do it all again/I've learned so much from my mistakes that's how I know He is watching me." She allows a little cheekiness to slip into her vox when she bats her eyelashes and sings, "Jealous" in a little 'sorry, but not sorry' tone atop a carousel-esque chime. Continuing to enjoy her carefree vibe, she whips out a little feline frisk when she works her hips and lets the backbone slip to a killer mesh of Johnnie Taylor's 1968 single, "Who's Making Love" and the 1969 bass licks of George Benson's "Footin' It" on the plucky funk of single,"Mesmerized", a Thompson-guided highlight that should have reached higher than its #56 standing, with Evans channeling her inner-Aretha Franklin without a flinch. The video is her at her most playful, with a female band backing the festivities as Evans belts into a glowing microphone, beaming wide and expressing love for the dude that's putting "that good thang" on her. Evans extends her sunnier side up vibe as she bookends the album with stylish ready-to-mingle party anthems. She opens the set with the neon spiked cocktail of hi-hat and squishy synths on the Pharrell and Pusha T assisted-"Goin' Out", and she high-heel steps into a new positive vibe, repeating the lines: "Me and my girls are going out tonight", while saying later days to an old beau ("I should be starting a new life"). At album's closing, Evans throws in a new plot-twist with the throwback jazz rag, "Lucky Day", and its this type of material that livens up Evans sound aesthetic and challenges her vocally as she scats and gets knee-deep in the be-bop, dressing herself into a fresh new element that greatly suits her. I'd also add to this pot the plush funk of "I Don't Need It", as its superb sampling of The Jones Girls' 1981 single, "Nights Over Egypt" twinkles with a fluidity that breathes new life for the misbegotten soul classic, while gifting Evans with some of her best sample work to date. Having a new tune of attitude doesn't make Evans amnesic for her past, as she turns back the clock to her Bad Boy days as the dreamy bedroom eyed, "Catching Feelings" and arresting meditation of "Stop N' Go" have her as a damsel in decisive, but lovelorn distress. Still, she puts on such great vocal showing, (especially on "Stop N' Go" which I personally feel is one of her finest hours), that the lip doesn't quiver for long, as she spins new maturity and knowledge into these familiar scripts. 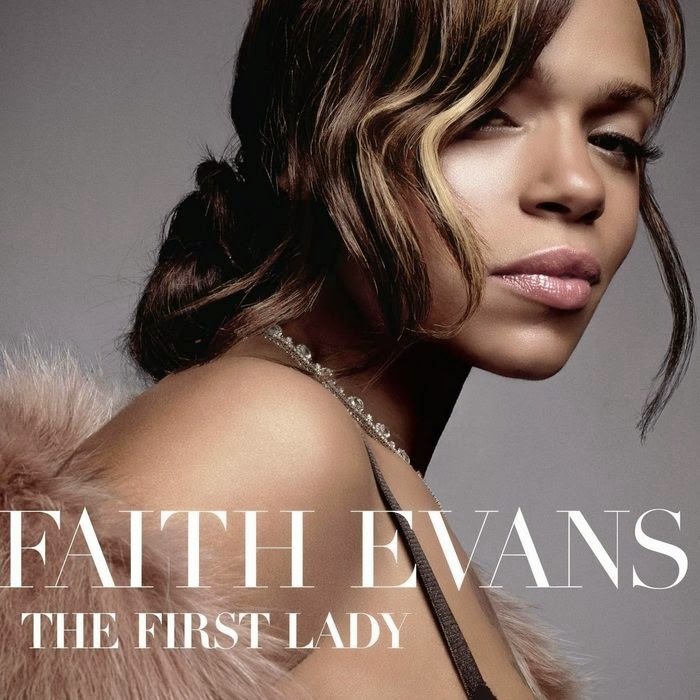 With little falter (the only pebble in the shoe is the duet, "Ever Wonder" with Mario Winans, a plucky groover that does little for the both of them), Evans positions The First Lady as a coming out party for a brand new era, as she goes back to reminiscing of her past while flexing a headstrong, but genteel boast about the groundwork she laid for future R&B singers on the come up. Even more so she is coming into her character, coming to peace with her past and stepping away from the taglines that were so unfairly latched to her to discredited her talent. As a whole, the album poised her for a nice return to R&B, to guide it away from the hefty hip-hop influence but to level it off, calm it down, and bring it back to its soulful, storytelling beginnings all while affirming a woman's position in it. Though Evans built this space there oddly wasn't any room for her as flashier 'first ladies' of new hip-hop backed juggernauts --- from Ashanti being Murder Inc.'s princess, to Beyonce and Rihanna becoming Roc Nation's main ladies --- broke onto the scene, saddled with even bigger clouts and promotional backing, and it seemed that Faith claimed her throne too late. Even with its chart success, The First Lady became misplaced, forgotten about in the wake of bigger R&B/Hip-Hop records of the era. It was packed with single options, but only three ("Again", "Tru Love", and "Mesmerized") were pushed, all three solid, and even great in their own way, but not enough to keep The First Lady afloat in the minds of consumers. As it closes in on ten years, the album still feels as regal and tough as it did when I first scooped it up on the strength of knowing that Evans would never let me down. To me, it's her best effort, nudging at her finest hours Faith and 1998's Keep The Faith, at times sounding like the tighter ship, and in my little world its one of the great R&B classics that retained a sense of self and dignity without compromising its vocalist's unique character, an element that seems all but erased from the genre nowadays. After The First Lady, Evans kept a steady yet low profile. Legal troubles followed her again, but phoenix like as always she rose up, returning in 2011 with Something About Faith, and later on releasing Incomparable in 2014. Albums that were fine for fans, but still didn't have the spark that was lit here or on previous sets. A stint on TVONE's R&B Divas alongside other fellow contemporaries like Syleena Johnson, KeKe Wyatt, and Monifah in 2012 brought her to the reality television side of the entertainment business, but to me her appearance was never needed, as all the doses of reality one needs of Faith Evans arein the fiber of her recordings. Whatever she was going through, whatever she was aching or celebrating over was exposed. Holding things in was never her style and it's why her records are among R&B's most honest. Like other headstrong first ladies of state, Faith Evans came out of the shadows and found the grace to merge her professional and personal personas as one all while having her say...and then some.